Show the world you love cloth nappies and support both your local nappy library and the UK Nappy Network with these fantastic badges! They are priced at 60p or 2 for £1 in a variety of colours as well as the network logo. Contact your local library directly for details of how to buy. 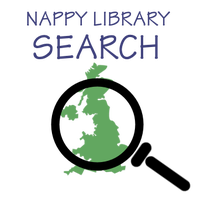 You can find your nearest library using the Nappy Library Search. 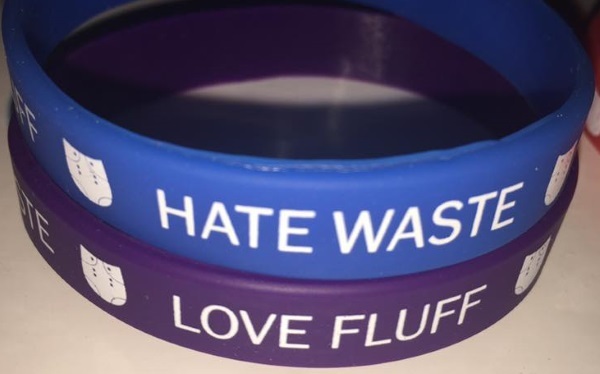 Brightly coloured wristbands proclaiming that you LOVE FLUFF and HATE WASTE! 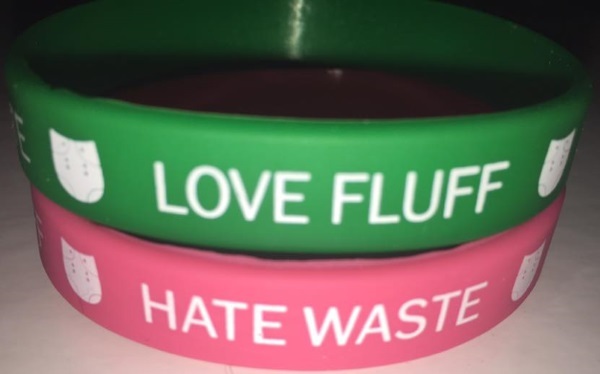 £1 per band. Ask your nappy library if they have them yet. If you have any suggestions or questions about merchandise, please use the form to get in touch. For all other enquiries, please use the general contact form. We aim to reply within 5 working days (usually much sooner but please remember that we are all volunteers). If you haven't heard back within a week, please re-send.